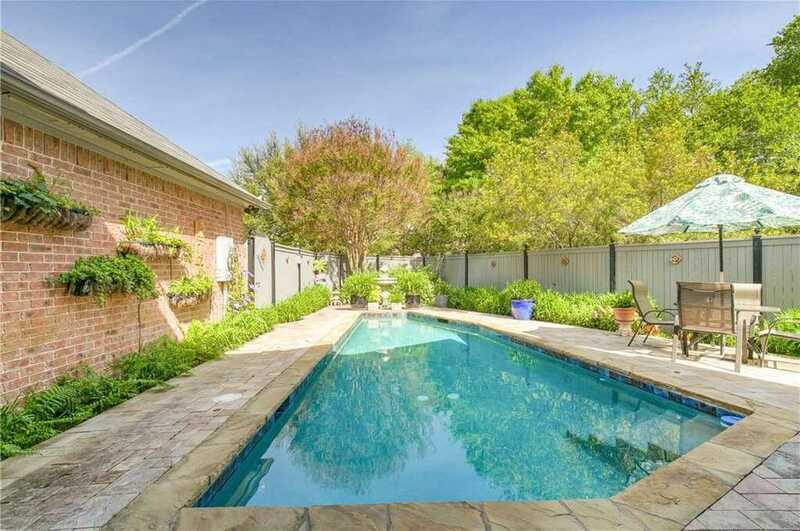 Listing courtesy of Briggs Freeman Sotheby’s Int’l, Caren Parten. This beautiful, completely updated, meticulously maintained, property is nestled in a gated community surrounded by gardens. All your needs will be met with 3 living areas, 3 fireplaces, 3.1 baths, and 3 car finished out garage! The kitchen is a chef x2019;s dream with fabulous storage, tons of counter space, walk-in pantry and storage closet. The family room, dining room &upstairs living spaces all overlook a salt water pool. A spacious master suite with closet built-ins and upstairs bedrooms contain updated baths & walk-in closets. Please, send me more information on this property: MLS# 14026534 – $699,000 – 6412 Chauncery Place, Fort Worth, TX 76116. I would like to schedule a showing appointment for this property: MLS# 14026534 – $699,000 – 6412 Chauncery Place, Fort Worth, TX 76116.